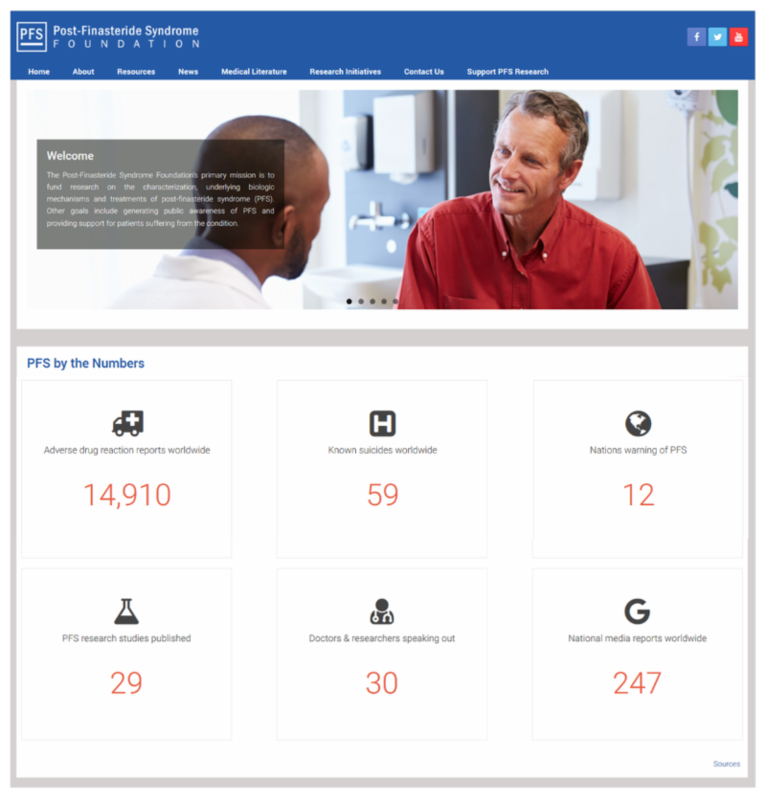 The new PFS Foundation website is finally here, and we couldn’t be more enthusiastic, because it promises to speed along numerous global-awareness and patient-support efforts. 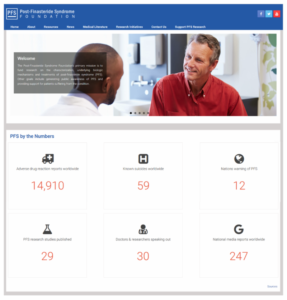 That section links to a standalone PFS by the Numbers page, which provides sources for each category. But more important, we’ve added calls to action for the above six categories. For instance, if you’re seeing a doctor who’s helping manage your PFS symptoms, but that doctor isn't listed on our Medical Professionals page, we ask you to let us know so we can consider adding that doctor to our volunteer team. Similarly, if you know of a nation whose drug-regulatory agency has published a warning about finasteride’s potential to cause persistent adverse reactions, and that nation isn't listed in the Nations Warning of PFS section of our PFS by the Numbers page, please tells us so we can consider adding it to our list. (a) Living in a world where no patient is ever prescribed finasteride without clear and ample warning of its many risks to physical and mental health. (b) Achieving universal education among doctors, nurses, psychologists, pharmacists and pharmacologists so that they are aware of PFS and take proper action in helping treat patients currently suffering from the condition while helping prevent the condition in the balance of the patient population.